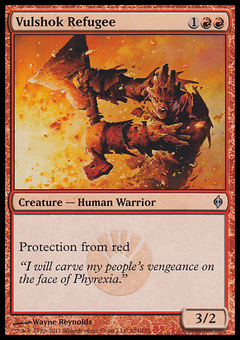 Sheoldred, Whispering One ($37.54) Price History from major stores - New Phyrexia (Foil) - MTGPrice.com Values for Ebay, Amazon and hobby stores! 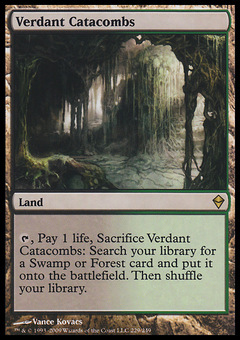 Card Text: Swampwalk At the beginning of your upkeep, return target creature card from your graveyard to the battlefield. 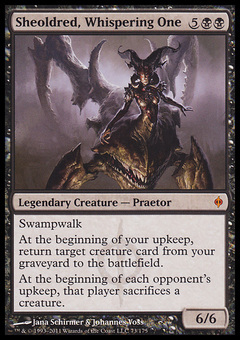 At the beginning of each opponent's upkeep, that player sacrifices a creature.